HomeHave you heard the “News”? 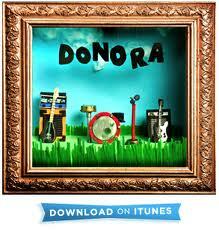 Donora’s new EP is out now! Of course we mean new music! Join Mrs. Dr. J and Dr. J as we play a new show with loads of new indie music for your Tuesday Afternoon! Expect great music from Donora, Ex Cops, Jacco Gardner, The Coat Hangers, The Little Ones, Bad Bad Hats, Team Spirit, Frightened Rabbit, The Shilohs, and much more brand new music. So new not all of it is out of the shiny plastic wrap stuff! We are also going to chat about the pitfalls of music critique in social media and what makes a great bass line. We’re also thinking about what our next on-air music book reviews should be — send us your suggestions! As always, join us this Tuesday as we turn your afternoon new and alternative!